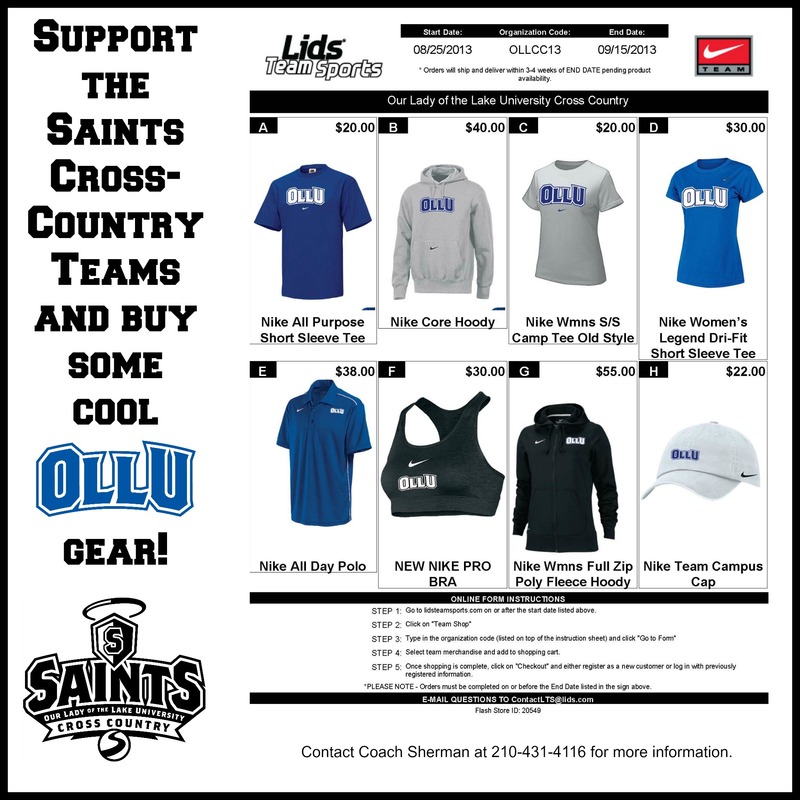 The OLLU Cross-Country Teams have partnered with Lids Team Sports to sell OLLU gear to the public. Funds raised will support the teams in their travels throughout Texas and various states throughout the country. Cross-Country Coach Stephen Sherman said, “The selections we are offering are attractive and each honors OLLU’s brand and spirit. We hope the OLLU community will support us by purchasing these items for themselves and for their family.” The fundraiser concludes Sunday, Sept. 15. Go online for more information.